On Friday and Saturday, discover the lush, unique and secluded gardens found along the banks of Mobile’s Dog River and the often forgotten western shore of Mobile Bay. Our selections of Gardens this year are delightful, and though away from urban sprawl, may be reached by car. Tickets available online, in the office, or onsite at the tour gardens. 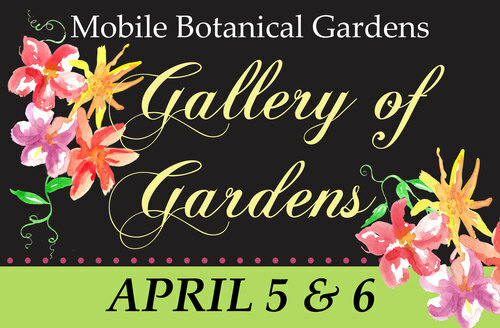 For more information, call 251-342-0555 or visit mobilebotanicalgardens.org.